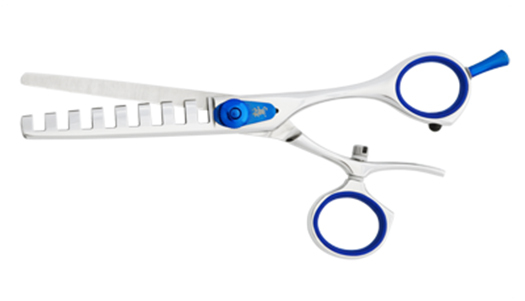 Scissors ergonomically designed teeth help eliminate bluntness and createa more natural looking texture. This Washi texturizer swivel shear helps you to create a bolder texture. The ergonomically designed teeth help eliminate bluntness and createa more natural looking texture. The swivel handle helps to eliminate wrist and thumb fatigue.